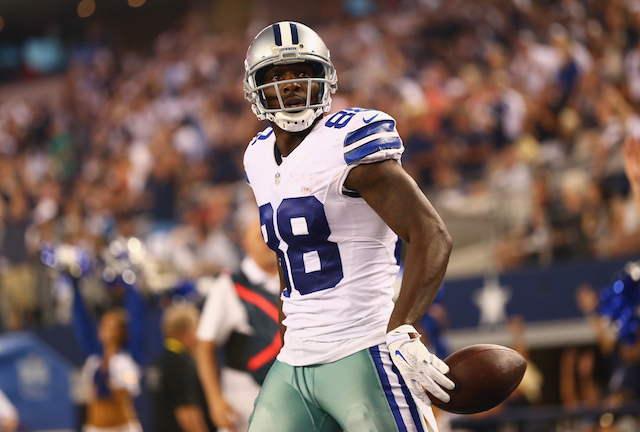 NFL: Would Dez Bryant Really Skip Regular Season Games? The Dallas Cowboys and superstar Dez Bryant are in the midst of a crazy game of chicken, and no one knows which side will be the first to give in. According to ESPN’s Chris Mortensen, the Pro Bowl wide receiver is considering sitting out the Cowboys’ regular-season opener on September 13 — a Sunday night game — against the New York Giants unless he receives a long-term contract extension by July 15. For those of you who have a hard time believing this is how Bryant actually feels, the receiver was more than happy to confirm this report. “This is no rumor; it’s legit,” Bryant said to NFL Network on Friday. The impasse between the two sides is over the franchise tag — worth $12.823 million– that Dallas used on Bryant for the upcoming 2015 NFL season. Bryant has been adamant that he wants a long-term deal and, therefore, has yet to sign the franchise-tag tender. Considering his current position, it was no surprise that the All Pro chose to skip the opening day of the team’s three-day minicamp. This may be the position of America’s Team, but if you listen to Bryant’s camp — specifically that of agent Tom Condon — his client remains “resolute in his determination” to get a deal done prior to the July 15 deadline. If that doesn’t happen, he’s prepared to remain firm in his position. While this week’s minicamps is supposed to be mandatory for all Cowboys players, Bryant is technically not a member of the organization, as he hasn’t signed a contract — and therefore cannot be penalized for his actions. The same cannot be said, however, should he decide to skip out on regular season games. Under the current collective bargaining agreement, the two sides only have until July 15 to work out and sign a new long-term deal. If no agreement is reached by that cutoff point, Bryant will be forced to play the year on the franchise tag, or risk losing money for every game misses. Based on the numbers, the receiver would cost himself roughly $754,000 per missed game. As the deadline approaches, we’ll start to get a better understanding as to how firm each side’s position is. While The Cowboys may be under the assumption that Bryant will eventually cave, his agent doesn’t believe so. While speaking with Sirius XM Radio on Tuesday, Condon mentioned that Dallas has yet to increase its initial offer. And Bryant is well aware of his actual worth. In his six seasons with the Dallas Cowboys, the former Oklahoma State All-American has established himself as one of the best receivers in the entire National Football League. 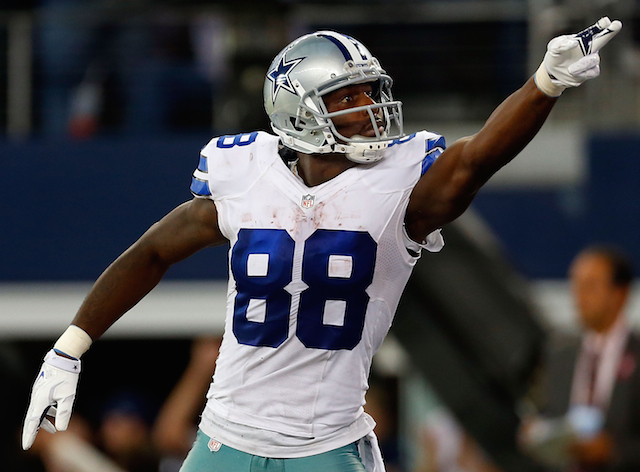 In 2014, Bryant had a monster year where he hauled in 88 catches, 1,320 receiving yards, and a league-high 16 touchdown receptions. With last season’s rushing champion DeMarco Murray now a member of the rival Philadelphia Eagles, the Cowboys will have to rely on Bryant’s immense talent more than ever before, but he can’t help but feel unappreciated. “I think from their perspective they’re looking at this year at the franchise tag, which is a substantial number close to [$12 million] and change and then next year they can do it again, and their average over the two years is basically $14 million,” Condon said. “And so they can go year by year if they would like. If Bryant opts to maintain his resolve and hold out, his move would echo former Cowboy Emmitt Smith, who chose to miss the first two games of the 1993 season. The Cowboys, who suffered two losses in those games, eventually gave in to the star running back, but given the rules of the current collective bargain agreement, Bryant and the Cowboys can’t reach a long-term deal after July 15. As a result, should the receiver opt to “pull an Emmitt Smith,” his options would be fairly limited. Like all things in pro sports, this situation is all about the dollar bills. 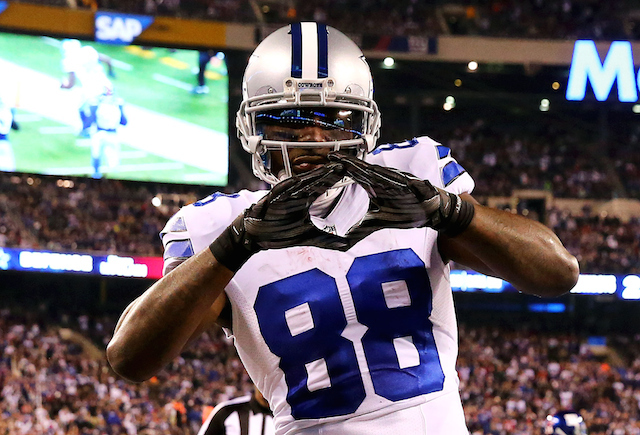 Either way, Dez Bryant has the potential to lose out on some cash. The question remains whether he’s willing to play for less than he feels he deserves, or forfeit his income out of protest. Something tells us these two sides will manage to come to some sort of arrangement. Stay tuned.